The SC 24 AE Chainsaw is powerful, lightweight and efficient and makes easy work of woodcutting jobs around the garden. Forget the hassle of mixing fuels, refilling the tank, fumes and starting problems of a petrol model - this machine is simplicity itself. Powered by a class leading 4Ah 24V Lithium-Ion battery. 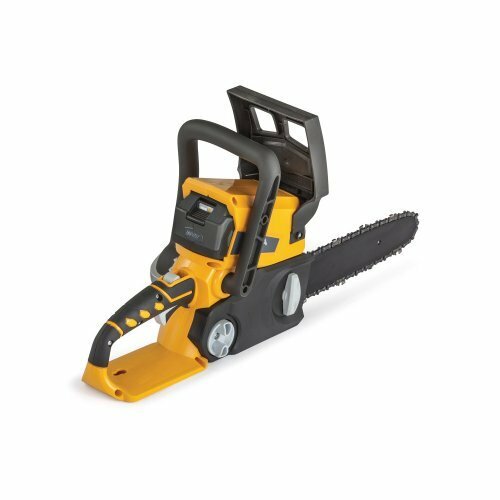 Using this chainsaw is as simple as pushing the start button and holding the drive trigger and is equipped with a 25cm (10") Oregon bar & chain, automatic oil pump and quick chain tensioning system. The SC 24 AE Chainsaw has all the safety features you'd expect and at just 2.7kg when fitted with the 4Ah battery, it's lightweight too, ideal for all users.